It doesn’t get much more dapper than a 3 piece Suit! 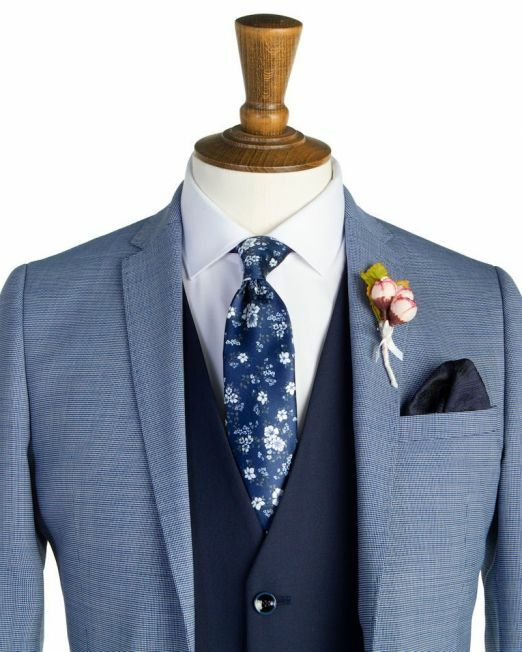 We stock3 piece suits from Baumler, Magee, Benetti, Scott, Evolution. All our Suits are european manufacture, therefore guaranteeing you quality of fabric and quality of tailoring. Available in Short, Regular and Long Fittings. 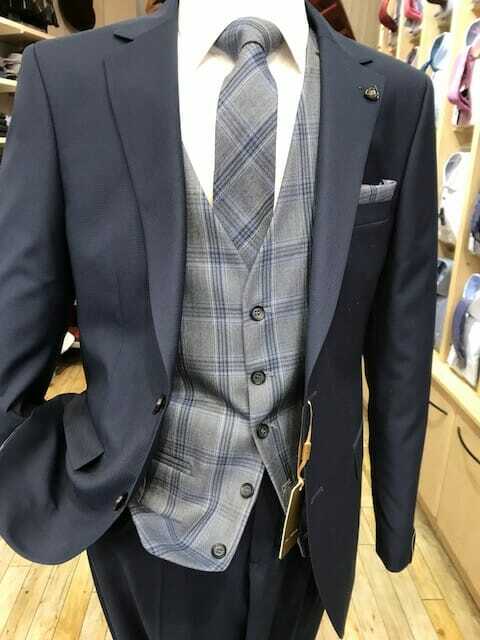 At Con Murphys, we provide a wide range of suit styles, from Premium Luxury Suits, Business Suits, Slim Fitting Fashion Suits, Formal Wedding Suits, Made to Measure Suits and 3 Piece Suits, you will be guaranteed to find something that suits you! One dressing style that is making a dramatic resurgence on the international fashion scene is the 3-piece suit. This suit style has been around since the 1930’s, and is making a strong comeback. The re-emergence of the well-dressed office executive has contributed greatly to the 3-piece suit comeback. It is an accepted fact that how you dress has great impact on your performance and confidence. The 3-piece suit is not just a powerful fashion statement but one that exudes power. 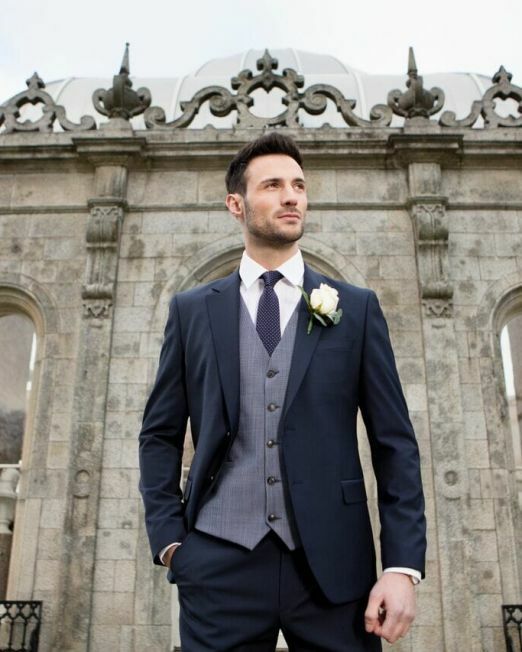 At Con Murphy’s Menswear we specialise in top quality 3-piece suits. We are located at 60 Patrick Street, Cork City. Also known as the vested suit, the 3-piece men’s suit is made of a single-breasted jacket, a matching waistcoat, and a trouser. The three pieces are made using the same material as well as lining. No doubt buying a good and well-fitting suit can be a tricky affair as many things could go wrong. There is the possibility of short sleeves, shoulders that too big, tight middles, and generally an outfit that is not fitting well. This is obviously the last thing anyone would want. That is why we at Con Murphys Menswear want to get you the best. Shopping from us not only assures you top quality but great style too.We recommend that you get at least one of our well-designed three piece suits as part of your wardrobe. Before finally making that purchase, it’s important to know how 3 piece suits are worn. If you want to look your best, this is vital lest you end up looking shabby and clumsy. If you are still wondering where to get the best 3 piece suits, then relax. At Con Murphy’s Menswear, we have assembled the best collection in Cork that can be worn anywhere in the world. 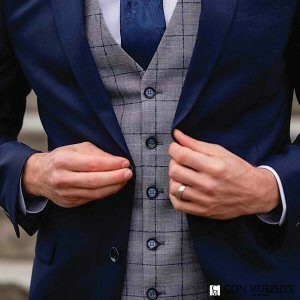 The best thing about three piece suits from Con Murphy’s is that we have a huge range of different styles and you are certain of getting one that matches your height, weight and body shape. 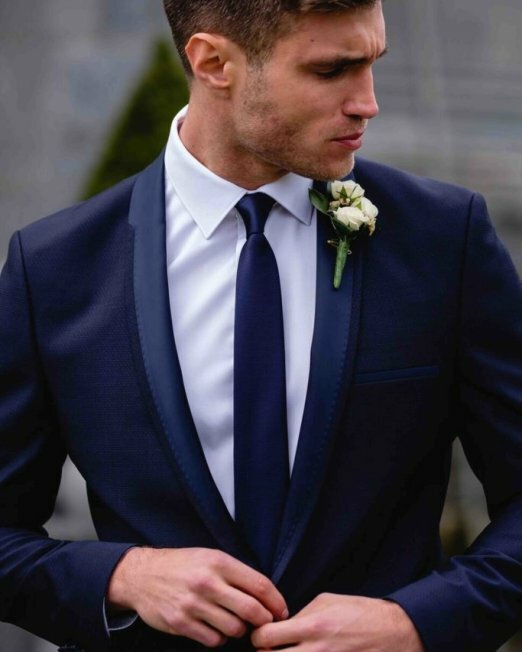 Achieving that stop-and-stare elegant suit is our goal at Con Murphy’s Menswear. Shop here online or come by our store on 60 Patrick Street, in Cork, and let our experts do what they know best: making you look your best!